While doing browsing on social media sites we see tons of images daily. And as you know social media sites are all about sharing images and videos. That’s why sometimes it’s hard to find out original image source and related information. But by doing reverse image search Android, you can easily find out, source and related query. There could be multiple reasons behind, why you want to do a reverse image search. Maybe you want to find out high-resolution of that photo, Or maybe you want to know about the person that is in the image. 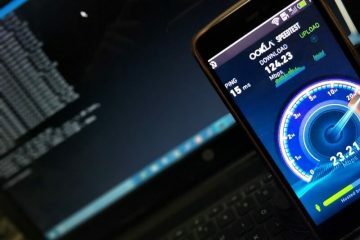 Whatever reason is – There are multiple ways to perform reverse image search on Computer and Android devices. In a computer, by using Google image search engine you can easily do this. So, here am going to tell you multiple ways to perform Reverse image search on Android. If you don’t know what reverse image search is – Normally to search images we put query (image related text) and search engine shows tons of images. And in reverse image search, we use or upload an image to know image-related information. 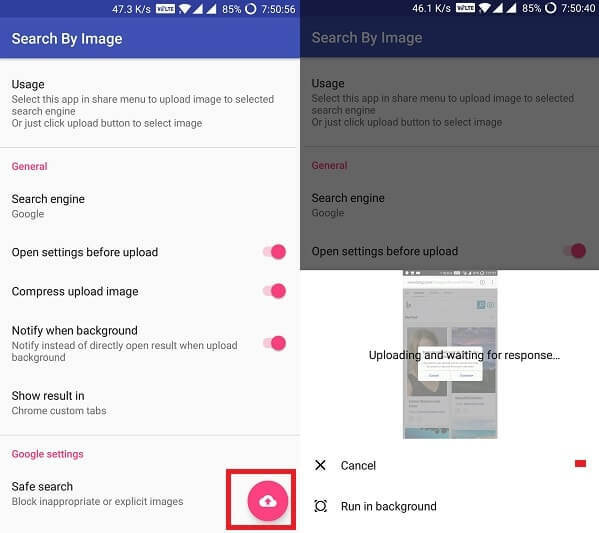 1 How to – Reverse image search Android. 1.1 Using Chrome Image Search Feature. 1.2 Using Google Image Search. 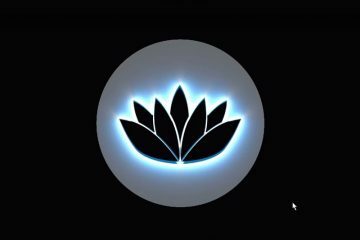 1.3 Image Search Using Google Assistant. 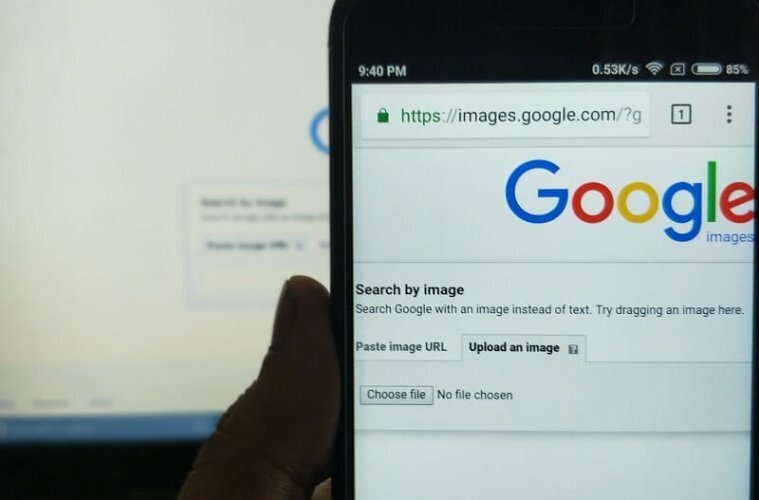 How to – Reverse image search Android. Using Chrome Image Search Feature. Chrome browser for Android comes with a built-in reverse image search feature. It can reverse search images from a webpage that opened in a tab. But if you have an image and want to reverse image search for it then follow the next method. 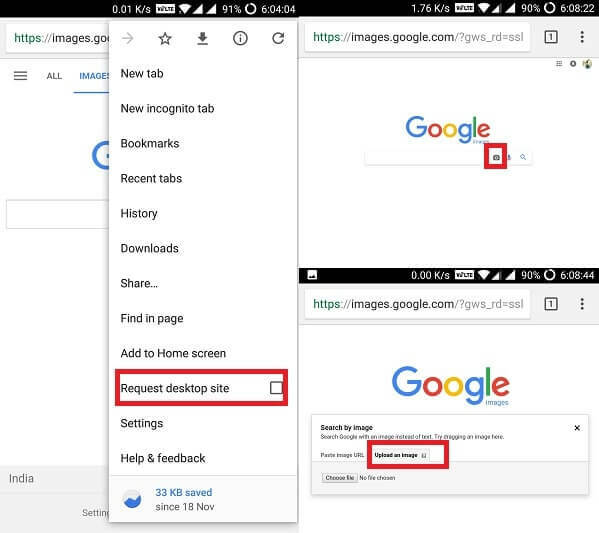 Step: 1 Open webpage (Which Contains Images that you want to reverse search) in chrome browser. Step: 2 Tap and hold on image for a second and a menu will appear with few options. Choose “Search Google for this Image” option. And on next tab, it will show you all reverse image search results. For example – If a product is available on a shopping site, And it’s costly. Then just do reverse image search Android to find the same product on other sites at less price. 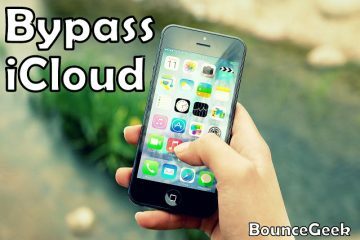 Above method is the shortcut of this method, But if you’re not using Android chrome browser and you have an image for reverse search. Then this method comes in handy for any devices. Note: Make sure you have an image on your device that you want to reverse search. Step: 1 Open Chrome browser on your Android device and then open Google Images search engine. Step: 3 Now Tap on the Camera icon and a small popup window will appear. 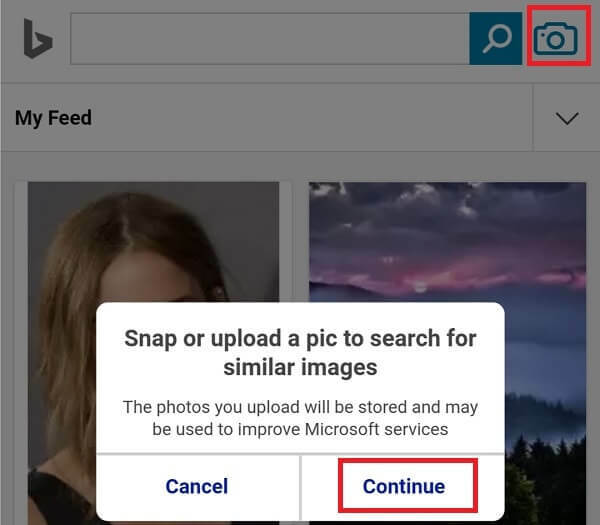 You”ll get two option to use reverse image search feature. Upload an Image – If you have an image on your device then, tap on this option and then select choose file option to upload an image. Image Search Using Google Assistant. Google Assistant is one of well known Siri Alternatives, It comes in all latest Android devices. And if you want Google Assistant on your Android device then you can follow this article – “How to Get Google Assistant“. It comes with a built-in feature called “what’s on my screen”. 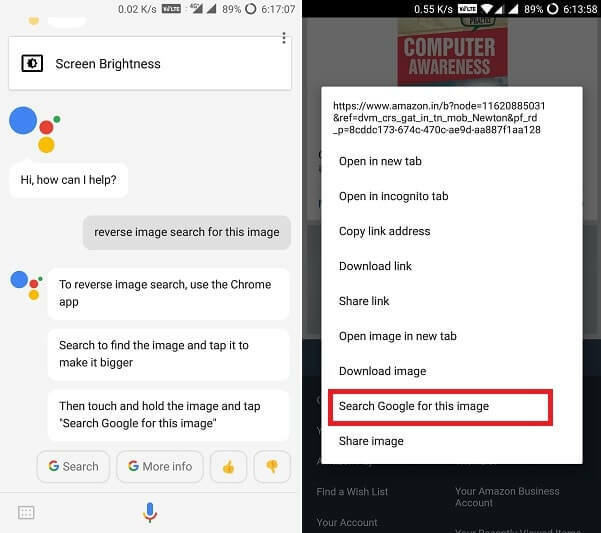 By using this feature you can ask Google assistant about any images. It isn’t going to work like Google Images search engine. But if you want quick information about someone then this feature comes in handy. Step: 1 Open webpage contains images that you want to reverse search (can use any browser). 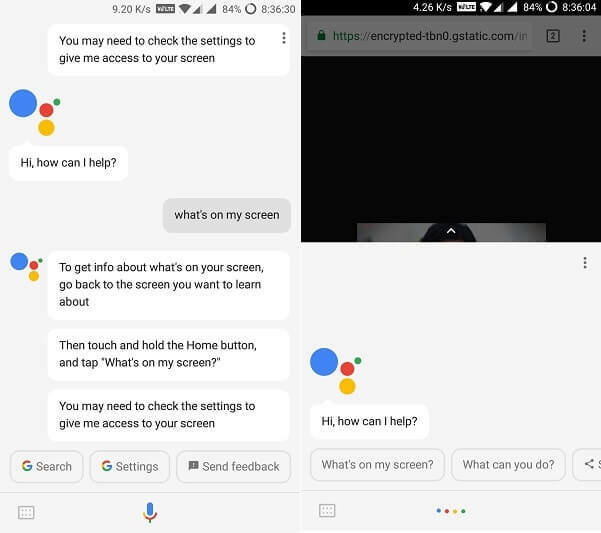 Step: 2 Tap and hold the home button for a second and a small popup screen will appear from Google assistant. Tap on What’s on my screen option and assistant will provide you all information. If it doesn’t work then ask google for “What’s on my screen“. And you”ll get a settings option, tap on it and enable Use text from the screen and Use screenshot option. So by the same way you can Reverse Images Search using Google Assistant. Like Google Image search, Bing also has its own reverse image search feature. And the best part about it is available for mobile devices. So you don’t need to activate desktop mode in mobile devices like you do in Google image search. Open Bing image search on your Android or any other device. And then tap on camera icon next to the search icon. Then hit the continue button and two option will appear Camera and Files. You can click the photo and use it for Google Image Search or can direct upload using files option. There are dozens of reverse image search apps available on Google Play. But only a few of them works correctly, and personally, I found only one app useful. This App allows reverse image search Android using Google image search feature. So if you don’t want to use or unable to use above method. Then download this App from Google Play and then open it. Now tap on upload icon (check bottom right corner) and then upload an image from your device. Once the image gets uploaded, App will show you all result on Google. The best part of this App is, if you don’t want to use Google for image search then you can set custom search engine. Set Custom Search Engines – Open App and scroll little bit and then choose “Custom search engines” under advance section. After that click on the + icon and then enter search engines details. Overall, There is only one way to do reverse image search Android, which is using Google Images. But these are the multiple methods that allow doing the reverse image search on any device. 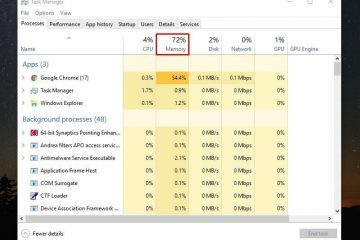 If you’re using chrome browser then the first method is the best. And If you have an image for search then you can try App or can use desktop mode. That’s all for now if you know any other method then feel free to comment. Previous ArticleGet OnePlus 5T Face Unlock on Android – Face recognition Android. Next ArticleBest Android Cleaner App – Clean Junk Files, Boost Performance.